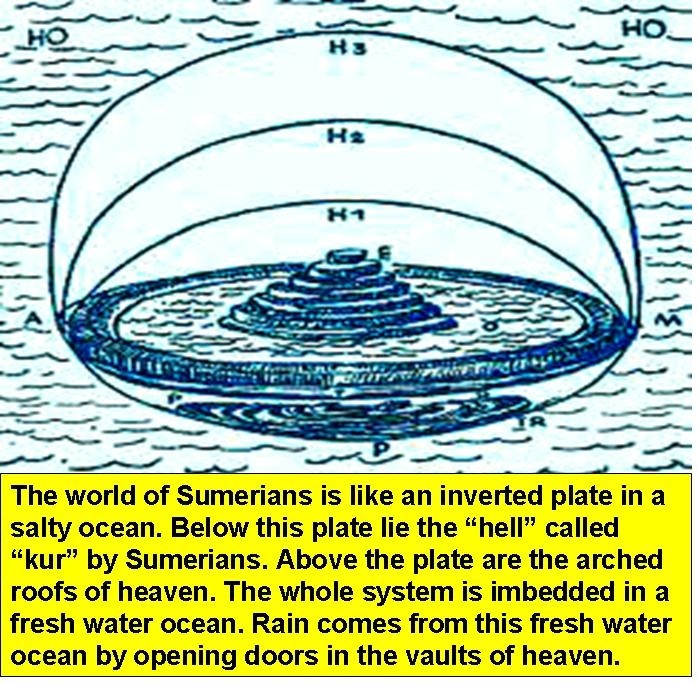 The Sumerian god Anu existed in their cosmogony as a dome that covered the flat earth; Outside of this dome was the primordial body of water known as Nammu (not to be confused with the subterranean Abzu). 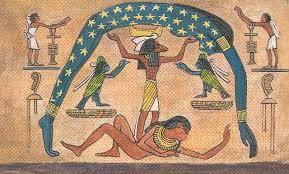 The Egyptians depicted the sky as a side-view arch represented by the goddess Nut. 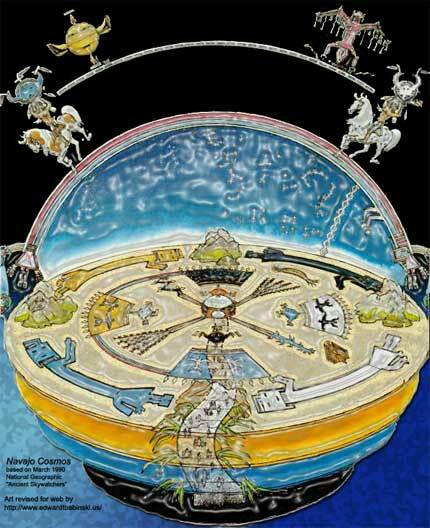 The (early) Greeks had a similar concept of an enclosed, circular world. Indeed, this concept shows up over and over again in the ancient literature of numerous cultures (including the Hebrews) as well as in the artwork inspired by such writings. Great work Rob. So grateful I have access to such an amazing resource, blessings bro. Since god is omniscient god already know the fate of all people beforehand, there can be no free will separate from the all-seeing omnipresent gaze of god which includes past present and future. school education programme to teach, preach the ‘earth is a globe’ lie to HIDE the gospel. 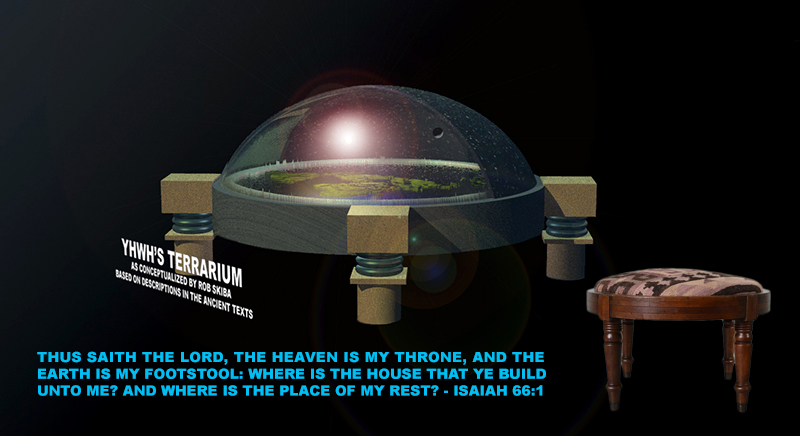 They know that the moment the world identiifies the truth and reality of the dome, they they will identify and see the truth and reality of the Creator YHWH. It is so very frustrating that believers cannot see the importance of this information. The fact that the Father left this information for us to rediscover in these latter days may be nothing more than additional confirmation that He is Who He has said He is, and He is going to do what He has said He is going to do….that alone makes this of great importance. Most believers may not need this confirmation, but if He has left it for us to find, then it is sure that there are believers who need this confirmation. Thank you for being a believer with the ability to share this truth in such a complete and yet succinct manner. I am a christian, i do believe heaven is above us and the firmament, unbreakable, and hell is below us, God will show me many other things, like he always has. I have been watching you and many others, but living in Scotland it feels that i am on my own here, does not matter how loud i shout at many people, they still walk with there eyes shut!. Just a thought. Is it possible the firmament was clear ice. Then during flood it melted? And now we have just the ozone left to separate earth from space? Go buy a telescope and you can see with your own eyes that stars and galaxies exist. Oh but wait, did NASA plant fake stars in the sky? What kind of crackpot theory do you have about telescopes? You people are literally insane. How does your demolishing geocentric model explain what Galileo observed? That Venus goes through all the phases, which cannot be explained unless Venus is orbiting the Sun. How does your demolishing geocentric model explain the south celestial pole? How does your demolishing geocentric model explain lunar eclipses?? There is no conflict in the geocentric model with what you have posted. really.. for starters there is no conflict with that link?? Southern “pole star” effect reproduced with a glass dome. I’m sorry, but this does nothing to further the gospel to bring people to Christ. Even if I was a firm believer in this flat earth stuff (which I’m not) I still would be more concerned about bringing people to Christ than getting blue in the face about something that doesn’t determine whether you’re going to heaven or hell. 2) You GREATLY err in your extremely ignorant ASSUMPTION that I am apparently (in your view) not concerned about bringing people to Christ. 3) I am not “blue in the face”- I am however, passionate in showing what the Bible DOES say as opposed to spreading erroneous doctrine about what it does NOT say. Please educate yourself before making future comments attempting to condemn what I am doing. Thanks. I just listened to one of your interviews on The Sharpening and you mentioned something about the Coriolis Effect and how it affects snipers and such. I was questioned on this also by a “globalist” and after looking into it, I think there is some deception in it. To get a better understanding of this Coriolis Effect that is supposed to be caused by the spinning of the earth, I researched it on the internet. Wow, the wikipedia site shows the crazy calculations that they say are necessary to calculate it. There is absolutely no way anyone, that does not have an engineers or math majors degree, could even consider calculating it. So I just used basic math and logic to see if it even made sense. (From a web site) The earth rotates at a speed of almost exactly 1000 miles an hour at the equator (that’s easy to figure out: 24,000 miles/24 hours). But this speed is different depending on what latitude you’re at. If you live in Miami, you are moving at 940 mph, but if you live in Washington, DC you are moving only 818 mph. In Oslo you are moving at just 534 mph. The inhabitants of the little town of Alert, Canada are traveling at a leisurely 144 mph. The earth will move left to right at 818 mph or 1200fps. So if I’m shooting at a target 2,200 feet away, and my bullet travels at 2200 fps, in one second the world will have rotated 1,200 feet to the right, just as my bullet is to hit the target. This means I need to aim 1,200 ft to my right in order to hit the target. Hmmm. Something doesn’t seem right. And what if I was shooting north/west or north/east? I would have to know my exact co-ordinates to calculate how much to lead on my shot, as the more I start to go east or west towards shooting directly south, my lead time would diminish and need to be more of a left lead. I never was told this at anytime when on the rifle range at Cadets, private ranges or when out hunting with friends. And another thing to consider in regards to this Coriolis Effect, do aircraft pilots calculate for it when approaching the runway on landing? This Coriolis Effect would be a much greater concern for pilots than for those shooting rifles because of the slower speed of the aircraft, and the sideways movement of the earth as the aircraft is speeding down the runway after touchdown. The earth would be sliding sideways underneath them as the momentum of the plane continues forward like you trying to jump on a treadmill facing it from the side. And on the subject of aircraft, why is it that the chemtrails are always straight across the sky? Once these commercial planes reach cruising altitudes of 30 – 40,000’, they maintain that altitude until landing, yet the trails left don’t curve as they should with a globe earth model. If they travel at 700mph, and take 15 minutes to go from first sighting until out of site, the trail could be as much as 175 miles long, with no curve!! Another thing I’ve heard is that hurricane winds are caused by the Coriolis Effect. Apparently, the ones on the north side of the equator spin one direction while the ones on the south side spin opposite. This same effect could be caused by the moon and/or sun rotating overhead in a flat earth model, drawing everything underneath in the same direction, the same as someone running down a hallway. Any dust or hair on the right would spin in a clockwise direction as it gets dragged down the hallway with the air current, while the stuff on the left would spin counter clockwise. This is how the moon also would affect our tides. The science they use to promote the global earth theory cannot allow for the moon to affect our tides. If the mass of the earth keeps the moon in its orbit around us, scientifically, the moon should have no effect on our tides. Science cannot have it both ways. I wanted to find some information that would help confirm my understanding of how the sun and moon might cause this Coriolis Effect and found the 2 videos below. The 3rd one is a web sited that had them and others that might help you in your research. I am also struggling to understand the southern star trails in the flat earth model. 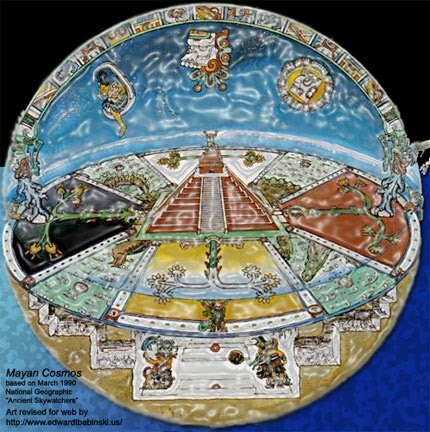 The Southern Crux is apparently seen from all the land masses at the southern hemisphere, but how can it, and all the other stars possibly make the same circular sweep as the north does in the flat earth model? 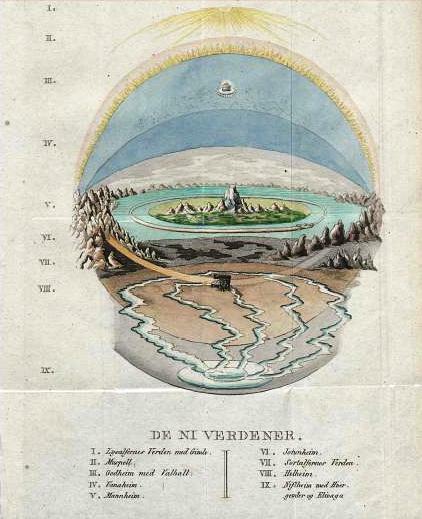 The only thing I can fathom is maybe at each of the “corners of the earth” there is a smaller dome that meets the northern dome part way up. 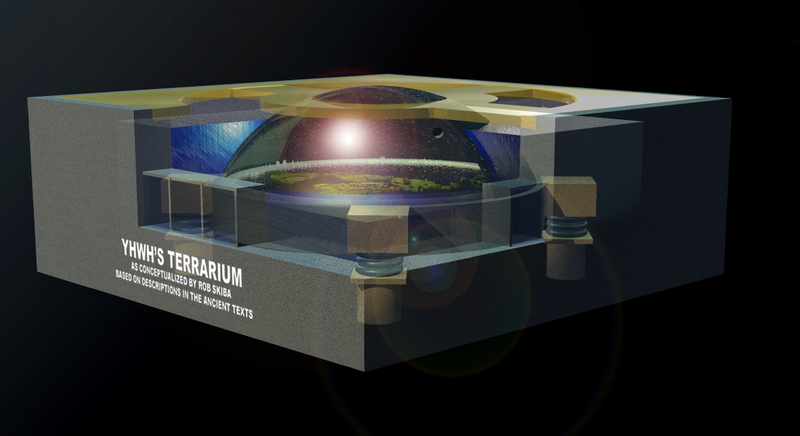 Think of a domed cathedral, with four domed rooms adjoining it. They would each have to mirror a main one so that they all contain the souther constellations. Just an idea but I don’t think it would work. I thought you might like this video on what the stars might be. I won’t get into it much right now but keep in mind that we are mostly water, with the Spirit of Yahweh in us, and we are to be a shining light to others. Remember how Moses glowed when he came down from the mountain. Maybe he was “energized” that the bubble in the bottle. Anyway, just thought I would pass this information along. Keep up the good work and be strong. It’s hard presenting this kind of stuff without some negative energy being thrown back at us. Rob, to be honest, when I first heard of this flat earth idea, I laughed. But as a person who is open-minded, I listened, I read, I researched only a little bit and could easily see how this all made some sense. Then I found your videos on the subject. You brought up valid points that made even more connections to how this could be. I’m not new to cruising through the rabbit hole of truths but I have been quite surprised by how many tunnels the rabbit hole has! The powers that be, whoever they are, have gone to extreme lengths to keep us all from the truths. Unless people are willing to go that extra mile, like you and others, they have no idea how purposely blinded they are. Never mind the nay-sayers out there who resort to name calling in order to discourage you from your venture. They are simply upset that their world has been presented with doubt and are clearly not ready to know or accept that their world may not be how they thought it was. Please, continue to connect the dots to get to the truths. I am not able to do the extensive research for the answers, so I appreciate all that you are doing. It will all come together some day. You have posted the pagan concepts. Have you considered that those pagan concepts would be evidences which point to error instead of truth? “God is a spirit.” Therefore God’s throne is NOT of His physical creation. 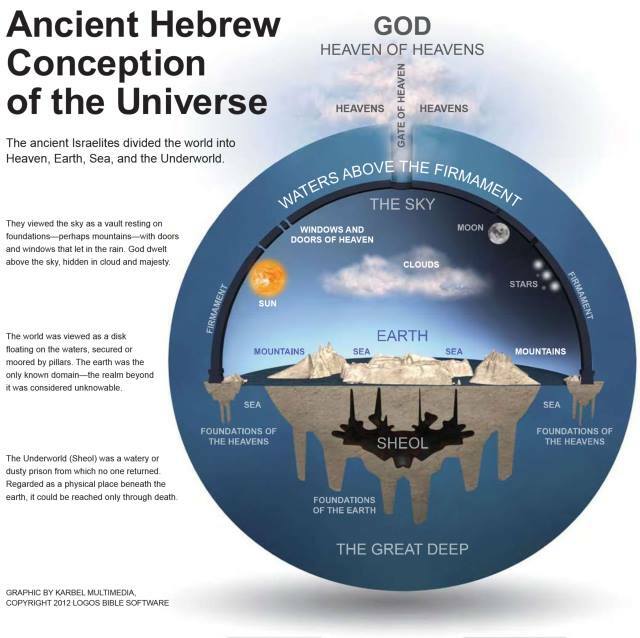 The “floodgates / windows in the firmament” relates to the CREATION of the pre-The Flood “Earth-firmament-waters” above, etc. We have no idea about what the pre-The Flood Earth was like, except, as Henry Morris III states, from the fossil evidence of a very luscious plant and animal living matters. We have no idea about what took place beneath The Flood waters during the first 190 days of 40 + 150 days! 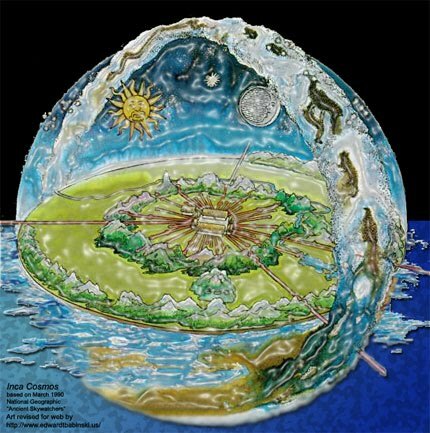 What we do know is that the Earth’s land masses are covered by vast depths of sedimentary layers containing their fossil evidences indicating the pre-The Flood Earth. Have you considered the logistics of your supposed Antarctic circular ridge of ice’s ability to contain The Flood waters and ravages? I took the time to research the Hebrew words, 127 earth, 776 earth, 2789 and 8398 world. You cannot get a flat earth from these definitions! I looked up the Hebrew words, 4690 pillars, 5982 pillar, 4676 pillar, 4890 pillars, 547 pillars, 5982 pillar. You cannot get a flat earth from these definitions! I looked up the Hebrew words, 3235 foundation, 4639 work, 2311 foundation, 2602 foundation. You cannot get a flat earth from these definitions! I looked up 6471 corners, 3671 corners-wing. You cannot get a flat earth from these definitions! The reason you cannot is that the context doesn’t allow you to do so. You have decided to take The Bible’s text LITERALLY. As I mentioned, previously, I have a book, “Figures of Speech Used in the Bible,” which has 1022 pages itemizing the various types of figures of speech used by the biblical recorders of Hebrew, Aramaic and Greek constructions. You need to know when the biblical text is using figures of speech vs our literal ENGLISH interpretations. The following video does an excellent job of giving examples of what you need to understand from the context of the references in The Bible. I know that you are busy, but could you, please, let me know that you have at least read what I have been posting?? So, using your logic, aren’t current maps then inaccurate, since obviously the Greeks must have had it right! I mean, that is a huge logical leap…it doesn’t really prove anything, other than show that the Greeks didn’t know how many continents, or the extant therein. Just watched your video “Flat Earth Conspiracy Exposed” and was blown away, by your stupidity. Do you and your viewers buy you trying to equate the year 1908 AD to the year 1908 since creation? I’m “blown away by YOUR stupidity.” You apparently have a serious lack of basic comprehension skills. “Good lord” I NEVER said Nimrod went to Antarctica! 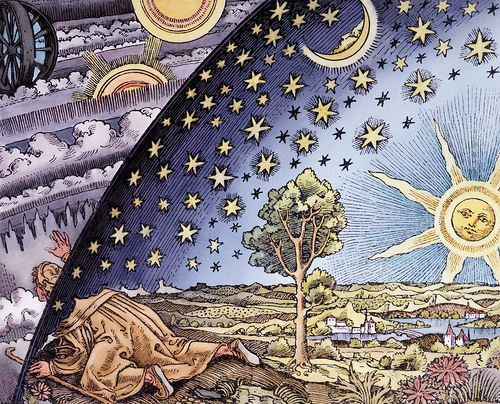 I said I found it interesting that the MAN Nimrod was born in 1908 AM and that his goal (later in life) was to “reach into Heaven.” And then we flash forward to 1908 and we have a SHIP by the same name going to the place where SOME believe the dome (firmament) connects to the Earth – the implication of which would therefore of course be ANOTHER (possible) way to “reach into Heaven.” Please either work on your mental issues or step away from the keyboard and don’t ever comment here again with insults based on strawman arguments. Thanks. You’ve actually stated in several interviews that you aren’t fully on board with flat earth, or that you’re agnostic on the subject. Sounds like you need to catch up with yourself then….lol. Sorry, but you have too many interviews stating that, so I couldn’t help but notice what should be obvious. Sounds like people need to catch up with my interviews. I ditched the “zetetic agnostic” title almost a year ago now. The Gospel can be shared by any means. I don’t understand why people think evangelizing is just saying JESUS LOVES YOU and that’s it. Since NASA is demonic , there is a good reason they tell us we are monkeys spinning on a ball or they wouldn’t exist. Satan needs a nice deep space to bring in aliens aka his demons. That’s one reason. There’s many reasons to expose the spinning globe earth deep space lie. And guess what , you can talk about Christ while doing it. A plane must prove about the globe earth or the flat earth. A pilot or many pilot should know it even if i dont have my statement. If you have been blessed by Rob Skiba's ministry, please consider contributing to its continued growth and outreach potential. We are NOT a 501c3, which means the ministry is not regulated by the government, nor are we able to give you a tax deductible receipt for any contributions.